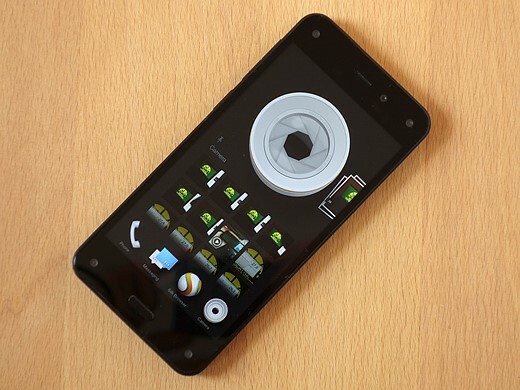 The Fire Phone is an attractive-looking smartphone that feels very solid in your hand. 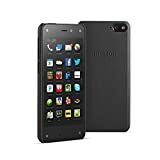 With its 4.7-inch screen the Amazon Fire Phone is noticeably more compact than most of the current flagships from the competition with their 5-inch and larger screens. However, it's a touch thicker and also quite heavy for its size which is probably due to to the additional hardware required for the Dynamic Perspective system. There is no denying that from the front the Fire Phone bears a certain similarity to the iPhone 5/S, but then that's true for a lot of phones. 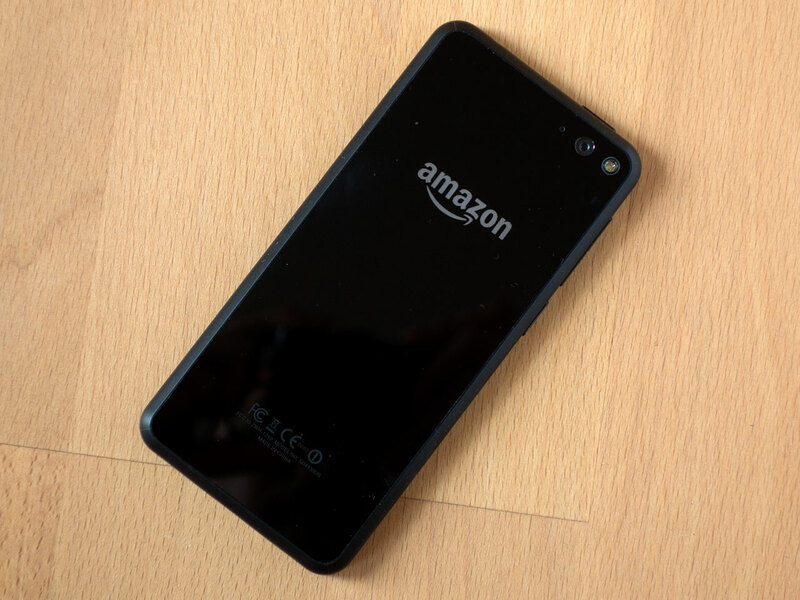 The frame is actually slightly rubberized which makes the Fire Phone comfortable to hold on the edges. In combination with Gorilla Glass 3 at front and back and buttons made from aluminum it gives the device a premium look and feel. 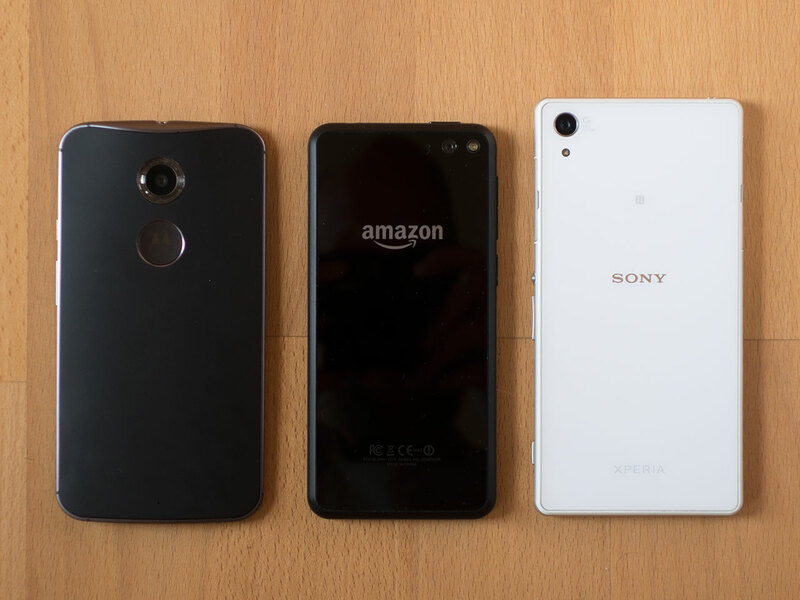 The Fire Phone is a little more compact than current high-end Android phones, such as the new Motorola Moto X on the left or the Sony Xperia Z2 on the right. Like the front, the back is covered by scratch-proof Gorilla Glass 3. In terms of physical controls the Fire Phone looks like a mix between an iPhone and Android device. There is a home button at the bottom front, a power button on top and volume rockers on the left edge. Mobile photographers will appreciate the physical two-way shutter button on the same side. The camera module comes with a 13MP sensor that is combined with a lens consisting of five elements and a fast F2.0 aperture. There is an optical image stabilization system to keep things steady at slow shutter speeds. 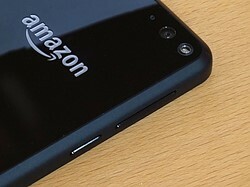 Amazon has not made any detailed camera specifications available but it's fair to assume the Fire Phone's sensor has the 1/3-inch dimensions that can be found in many smartphone camera modules. Camera lens and flash can be found on the top right corner on the back. Each corner on the front has an IR camera for the Dynamic Perspective system. 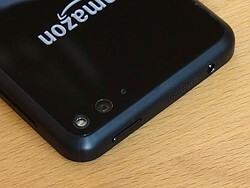 The power button is located on top of the device. 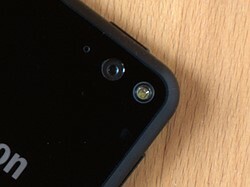 Volume rockers and camera button are located on the left edge of the device. 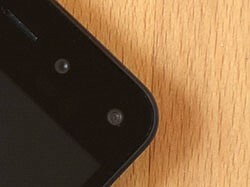 The rest of the hardware is, apart from the four front cameras - one in each corner, which are needed for Dynamic Perspective, more or less in line with current high-end Android devices. 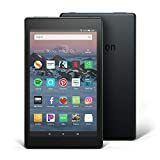 The 720p screen resolution is a little lower than usual but Amazon claims that the screen is brighter than most at 590 nits and a quad-core SoC clocked at 2.2GHz processor, Adreno 330 graphics and 2GB of RAM provide plenty of power to run things smoothly. 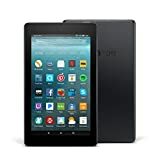 Users can choose from versions with 32 or 64GB of built-in storage but unfortunately there is no microSD slot (that's what all the cloud storage is for). Power is provided by a 2400mAh battery.